Many homes have parents that both work, leaving children to take care of themselves for a little while before mom and dad get home. Research done shows that one in six parents come home to a front door that is unlocked or a child telling them they lost the key. Steps need to be taken when allowing your children to have keys to your house to protect the house and themselves! Why is it Risky to Give Your Kids a House Key? Kids will lose keys, it’s inevitable. Keychains and lanyards break and they will be misplaced. They are not going to make an effort to keep them out of sight, which leaves them vulnerable to getting stolen. There are actually apps that can take a picture of a key and decode it allowing a copy to be made. Robberies and home invasions almost always happen after someone has figured out what you have inside. Your children will bring people over and the word may get out to the wrong people that you have the goods. When you aren’t home your kids might invite friends over and if you have a hidden key they will see where it is. You need to have a serious conversation with your child about the importance of being trusted with a key to the house and give them examples of what can happen if they get the key lost or stolen. You can get rid of keys all together and have an electric keypad deadbolt installed. There is a WIFI option but it can be hacked, so think about that when deciding because kids are smarter than us when it comes to technology. Codes are programmed into the electric keypad deadbolt and these locks allow you to change the codes as often as you like. Should your kids forget their code they can ask you for one to get in. You don’t have to leave work to change the code. It may be a good idea to change these codes on a monthly basis for security. You can have cameras installed at the entrance of your home. This will allow you to keep track of who is coming and going. If you choose only one door your kids can use they won’t have keys to the other doors. The camera will show you everyone who enters your home. You can have double keyed deadbolts on the other doors in the home which prevents others from coming in without you knowing. You can have a rule in your home that they are to text or call you when they get home. Other than kids, there are a number of people you can have codes for, like a cleaning company, pet sitter, family, etc. Each person can have a code that can be deleted at any time. Kids need to tell you right away if they lose the keys so the locks can be changed. Attach a key chain ribbon or string of beads to the key as they are small and easily lost. Use a key rack at home to keep a routine as to where the keys should be. Keep spare keys hidden because copies can be made. Don’t let your kids’ friends see where the key is hidden. Kids can be trusted with a key to the house after they have been given some rules to keep your home safe. 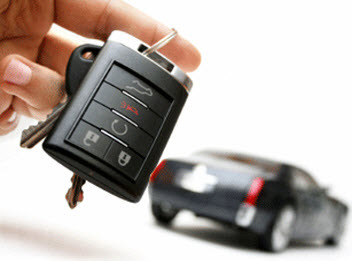 If you experience a lockout due to a lost key or have any other locksmith needs, contact Best Locksmiths for help. Some lock brands are more trusted than others. Some are highly recommended and some not so much. Alot depends on your situation and your security needs. Some brands may be widely used but are they really the best choice? Kwikset is a brand widely used in the United States. If you look close you’ll find these locks on a lot of people’s homes. This company founded in 1946 by Adolf Schoepe is famous for it’s tubular designed locks and easy installation. While this brand is wallet friendly, that is to say, it is a cheaper brand; you get what you pay for. They are easily picked and bump key susceptible. If you are looking for cheap this is your lock but if super security is what you’re looking for this one isn’t your best choice. Schlage is an American manufacturer founded 1920 by Walter Schlage. They make low and medium security products for home and commercial use. It’s a popular brand with customers because its products are sturdy and good looking and even its cheapest options are harder to pick or bump. Schlage produces keyless entry locks, keypad locks, door handles locks and handles separately and in combinations. This company is a merged company of many different lock brands. These locks are a sturdy brand that are used a lot commercially in high traffic areas like school classrooms, hospitals or hotels. These locks require regular servicing and sometimes replacement because while they are very sturdy they become easier to pick with age. They are a well trusted brand as they should be since they are found where we educate and care for human kind. From its birth in 1921, this company were traveling locksmiths most famous for the Skeleton key or master key system. Now their company manufacturers padlocks, combination locks and other security devices. Well known for their durability it seems you get the value you pay for. This company was started in 1950 by Powel and Roy Spain. They are the largest manufacturer of medium and high security locks worldwide. This brand is preferred by locksmiths and other professionals because it is hard or almost completely resistant to all forms of burglary. The pin tumbler lock has a sidebar to help prevent picking or bumping. This brand is made for commercial and residential use but they are also used to secure prisons, military compounds and banks. It’s a great idea to have a professional locksmith come to your home for a consultation and to help you with your options. They can tell you what might be best for the various areas and the security needed around your home. Give Best Locksmiths a call today. Extractor Methods for How to Get a Broken Key Out of a Door Lock in Oak Creek, WI; Tweezers, Superglue, Tapping the Cylinder & Calling a Mobile Locksmith! When you go to use a key to open a lock and you turn and all of a sudden it has broken off it can be a devastating event. The lock may be stuck in the lock position and not only are you not able to get in the area that you were unlocking you are also left without a key because it is now stuck. That means you cant go to another door and use that key to get in. The best thing that you can do in this type of a situation is to call a locksmith company to come out and help remove the broken key. 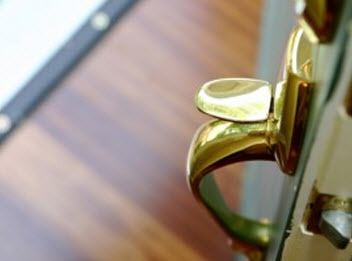 There are some troubleshooting ideas that you can use to try and remove it yourself but that can lead to damaging the entire lock itself or just end up costing you more time. Best Locksmiths has prepared a list of tricks you can try to remove the broken key stuck in the lock. There are some things that you can use to try and get out a key. One of them is a set of tweezers. Most woman have a pair of tweezers in their makeup kit and there is usually a set in the family first aid kit. If you have a key broken off you may want to try and get it out. The extraction process is tricky but if you have a pair of tweezers and the key is still sticking out slightly you may have some luck. Grab the tweezers and see if you can get a grip on the piece that is still in the lock. You want to be very careful not to push the part in any further since this will make is even harder to deal with. The type of tweezers that you use are also important since you want to use a pair that are as thin as possible. Another trick that you can try to remove a key that has broken off is super glue. If you have ever used super glue and gotten it on your fingers you know that it is a quick drying and very strong adhesive. The dangers with using super glue to remove a key is that you can potentially use too much and that can leak into the lock causing the lock to stick. If this happens you will need to replace the lock all together. Take a small amount of super glue and put it on the end of the key that remained out of the door. You can then put it in the lock and hold it in place to allow the glue to dry. After the glue has dried you may have enough hold to pull the key back out of the lock. This is not a great option since you can easily use too much glue and ruin the lock altogether. This is a process that will require a bit more work and skill. You are basically going to take the lock off the door as a whole. Once the lock is off you will lay it upright and tap the lock on the ground in hopes that the extra broken part of the key falls out. You are trying to remove the key by allowing gravity to pull it out. Broken Key Extraction from Locks in Racine, Oak Creek, Burlington & Kenosha Wisconsin. 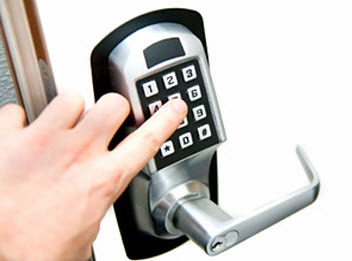 Contact Best Locksmiths for all your locksmith needs!